A beginner-friendly introduction to Buddhism’s Eightfold Path to inner freedom. The Buddha promised his students that a way out of suffering and into a more deeply fulfilling life is not a myth, but a reality available to everyone. 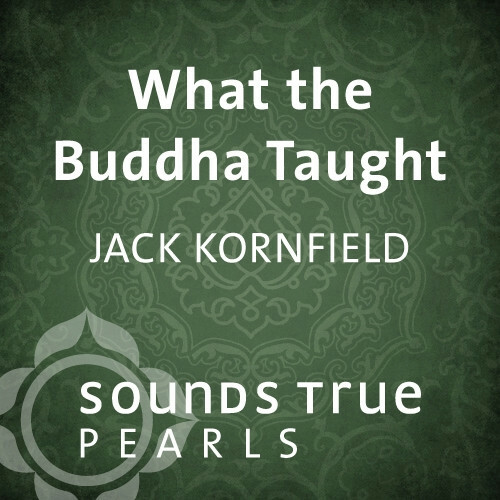 On What the Buddha Taught, Jack Kornfield illuminates the cherished Eightfold Path to share with us the same steps to inner freedom laid out by the Buddha more than 2,600 years ago. This session is excerpted from Jack Kornfield's eight-CD program Buddhism for Beginners. taught. He is inspirational and clear.